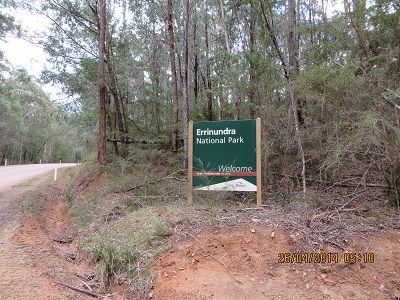 Fourteen contacts from Errinundra National Park was a good indication that this park was on the wanted list for a number of amateurs. I was on the air at 02:55 and my last contact was at 04:04. Getting to Errinundra was a long drive and I wanted to get out of the park and arrive at our accommodation before darkness. The Park was badly damaged in the recent fires and I was doubtful I would find a reasonable activation spot. 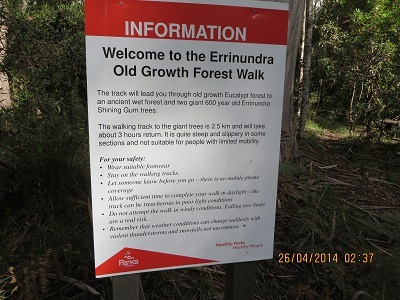 Eventually we came to a sign indicating a walk through old growth forest. It was a small circular car park with some picnic spots. For most of the time we were the only people present. 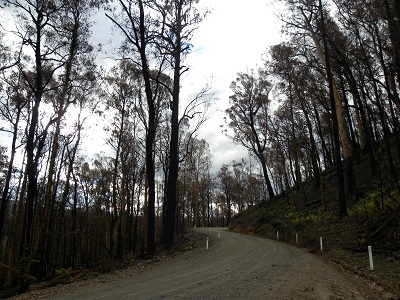 My first contact was with VK3MTB, Tim; VK3ZPF, Peter; VK3ANL, Nick at the Alpine National Park; VK3HRA, Allen; VK3FQSO, Amanda; VK3PF/P3, Peter who needed this Park to complete 45 as a chaser; VK5HCF, Col; VK3UH, Ken; VK5HCF, Col; VK5AV, Tim; VK2HRX, Compton on VK2 CT 003; VK2UH, Andrew; VK3MRH, Ron and finally, VK1RAN, Rob in Canberra.